It’s a truly exciting time in video gaming, especially for a guy like me. For decades, I have found interest in the backstories and history of the awesome video game industry and I finally see a groundswell of people who are interested in the same things. For every kid in middle school who thought I was a dork for knowing the name of the creator of Pac-man or every online critic who thought I was being overdramatic about preservation of arcade games on various forums in 1999, there are now dozens who see it, get it, and are taking interest in it. While it’s not universal by any means, I am finally seeing more who understand the need for protecting what’s left out there. For those who poke fun at it, even they are serving the efforts by simply talking about it, and in time they will see exactly what I’ve been talking about for decades. Even with more preservation efforts, more and more from the past of video gaming will continue to be lost, at least in the short term where the majority are still being wasteful. This week’s look into this topic goes beyond the obvious items. Yes, it is great to see people getting hold of vintage games, consoles, accessories and arcade machines, but the need goes deeper than that. The stuff most at risk right now won’t typically be found in yard sales and thrift stores, yet they are perhaps the most important historical items of them all. The younger gaming fan doesn’t often thing about this one, but there was a time – not too long ago – where taking photos and video of life events was not easy. Today, we all have devices in our pockets that allow pictures and footage to be shot of anything at any time, along with an ability to share these instantly with the rest of the world. In the first few decades of video gaming history, however, this wasn’t the case. There have been more photos taken of Starbucks cups and road trip selfies today than there were taken of the heyday of Space Invaders and Pac-Man. It was a noteworthy expense back then to take pictures, and not a lot of people valued a trip to the local arcade enough to spend the money on film and film development. A perfect example of this involves my first arcade hangouts. I’ve never seen a single picture of the former Electric Cowboy Casino in Garland, Texas, nor the nearby Nickelodeon, which was huge. I have yet to see any photos online of the gameroom areas of Garland skating rinks such as Good Times Skate Centers or Jamie’s Texas Skatium. For that matter, I don’t even see photos online of the Mesquite, Texas Aladdin’s Castle arcade that used to reside in Town East Mall. 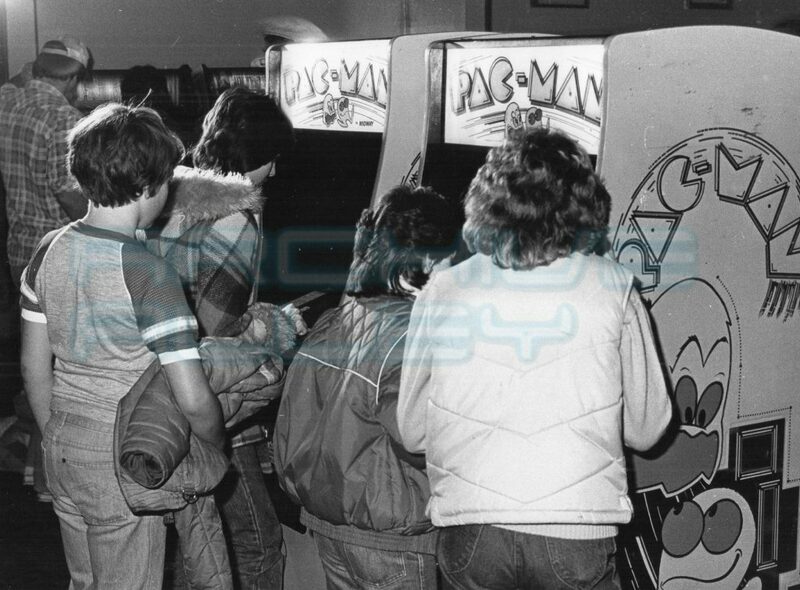 This arcade received years of headlines for a legal battle with the city, yet I have never seen one photo from that location scanned in online. Even the 1990 Nintendo World Championships suffers from this. 1.1 million people played in this multi-city event, the first competitive video gaming event you can fairly compare to modern day eSports. Despite such a huge number of people taking part, you’ll find less than few dozen pics from anyone online, at least with any ease. It is even worse with other 1990s gaming events; even major ones by companies such as SEGA and Blockbuster Video. Footage is also rare, as video cameras were still too expensive for the average person until after the turn of the century. There is media footage to be found out there, but even that is rather scarce, and when it does surface it’s also rather short, capturing just a few moments of various video gaming moments at a time. Only some of these photos and missing footage turns up, and it’s getting worse all the time. With so many old print publications folding up shop, archives of their photos are often lost or tossed out, with only so many landing in the hands of people who will protect them. Footage – especially from the 1980s – was not typically transferred over to new formats and continues to degrade with age. Photos and footage capture the very real look and feel of what they captured, and I would like to think there are still plenty of people out there with pics and video from the 20th Century era of video gaming. There needs to be an overall effort to recover this stuff just as much as there is in finding rare cartridges. Spread the word on this one, as it may inspire those sitting on stuff they have considered unimportant until now to post it up online or put it in the hands of those who will care for it all. In a previous column here, I encouraged video gaming historians to forsake the inaccurate Wikipedia entries and YouTube videos and research hard copies of video game information from back in the day. What I left out is how hard this truly is to do, as so little respect is given to it all. Vintage video gaming magazines contain more historical information than you’ll find almost anywhere else. These items captured moments as they happened, contained previews of games that never saw the light of day and are full of tidbits that have yet to ever be mentioned online. A few hours with old copies of Electronic Games and the younger video game historians will understand. There seems to be an assumption that any content that exists within these mediums is already online or will be someday. After 20 years on the Internet, I have to point out how untrue that really is. I have seen once frequently known information that has never seen the light of day online until I’ve posted it, and I see a lot of misinformation overpower what there already is. Even the stuff that is online in the form of scanned magazines and what not is in danger. It is clear to me that those scans are not often studied carefully, as if they were sites like Wiki would read a lot more accurately. We have also lost a great many websites with this material over the years, sometimes due to copyright holders shutting them down and sometimes due to the fact that nobody seems to maintain a website forever. There are also a myriad of rare magazines, especially trade publications and any mainstream stuff from the 1984-1987 period in North America where video games were considered a “dead fad” to most of the public. A great deal of important information from that era were only covered in platforms with limited production runs if they were covered at all. 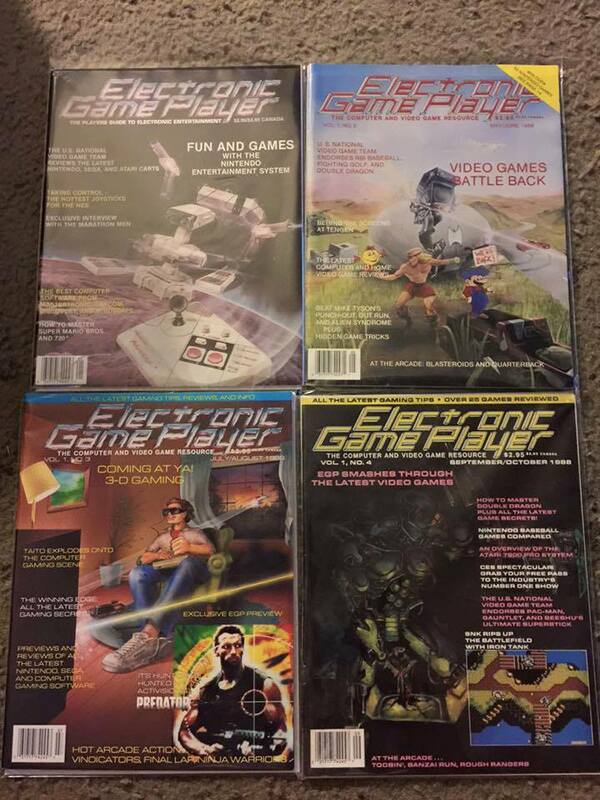 Just try to go find a review of the Nintendo Entertainment System at launch or any issues of Electronic Game Player Magazine, the pre-cursor to the legendary Electronic Gaming Monthly. Vintage video gaming magazines are treasure troves of historical information, most of which is still not online. Yet out of everything, they are also the items that people tossed out first and continue to toss out now in an era where physical media is seen as useless by most. Every single one of these should be taken care of and studied, as there are only so many still out there. While similar to what magazines are going through, they deserve their own mention here due to the limited print runs they all had. 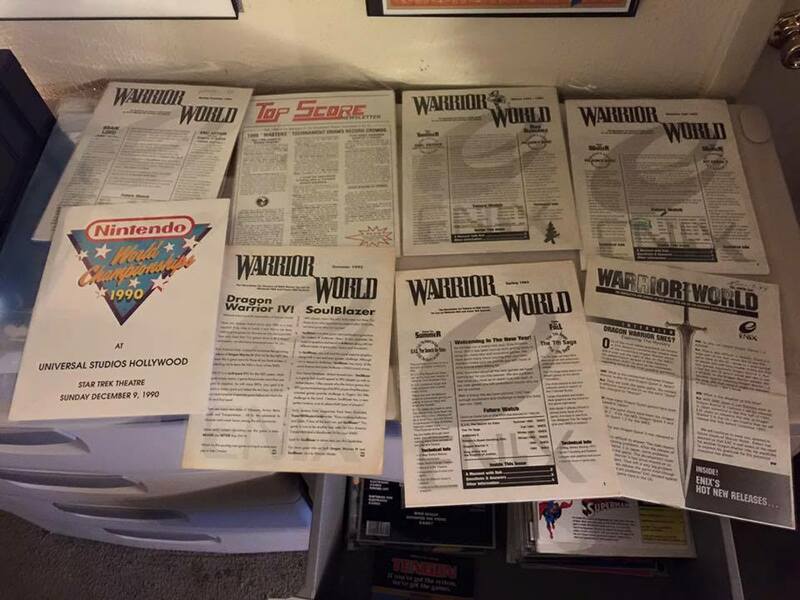 Before the Internet, there were hundreds, possibly thousands of video gaming newsletters out there. Some of these were company newsletters that you could only subscribe to if you wrote into a third party publisher or called them on the phone. 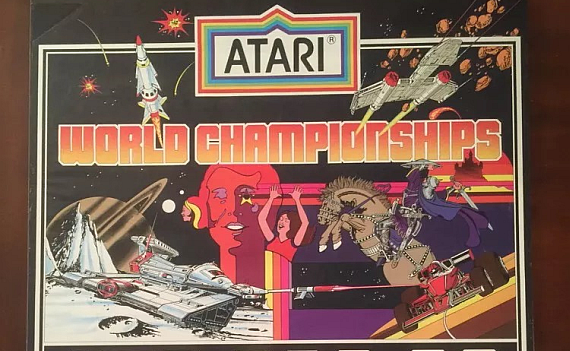 Others were community newsletters, ranging from news about the latest in regional arcades to those who continued to collect Atari and old computers after they’d fallen out of favor with the general public. These are full of information that is otherwise lost, and as hard as it might be to find some of the other items mentioned in this article, it may be fair to say most of these newsletters are still not posted online. Most notable would be the newsletters published by Mother’s Pinball in Mount Prospect, Illinois during the peak of the video arcade era. This location often served as a test location for companies such as Bally Midway, Williams Electronics, Taito, Stern and others, meaning that games were often found there before they were released to the rest of the world. This location ran a newsletter that would publish how well these test pieces earned, an important piece of information for arcade game operators around the country who wanted to make sure they were investing in new equipment that would earn them money. Beyond important historical information here and there, few copies of any of these newsletters have turned up. I fear they are even more overlooked than vintage magazines when they are found, as they were typically just a few pages thick and often were simply photocopies of typewritten sheets of paper. While items like these may never be worth what a copy of Little Samson on the NES is, their true value goes well beyond it. It is my hope that this article will encourage others to seek out more of these kinds of items in addition to their hunts for old games and consoles. It is also my hope that someone reading this may already have old photos, footage, magazines or newsletters, and that these words can bring them out to the surface. In the meantime, the searches continue directly. Previous articleJungleDrums: Episode 16 – Intel i9, ASUS X399 Zenith, Crazy Taxi, and more! Next articleMrCreteture’s DiRT Rally Giveaway Stream! Patrick Scott Patterson is a 36 year veteran of the video game world. His philosophy states that the past of our industry and culture must be preserved in order to understand where we are and where it is all going. Hello, I’m … Just Like You!! Fabulous!